I’ve been reading a collection of different British authors and have found for the most part, I like them, but sometimes the slang used in the stories is a bit much. I did not find that with the dialogue in Carole Singer’s Christmas. I did notice, however, some of the traits of the characters were a bit over accentuated. Almost to the point of wishing I could jump inside the pages of the book and throttle someone. While admittedly frustrating, the desire to keep reading was just too overwhelming as I found myself not wanting to put the book down to see if Carole would do it for me. When you are a romance reader like myself, you pretty much have seen it all. 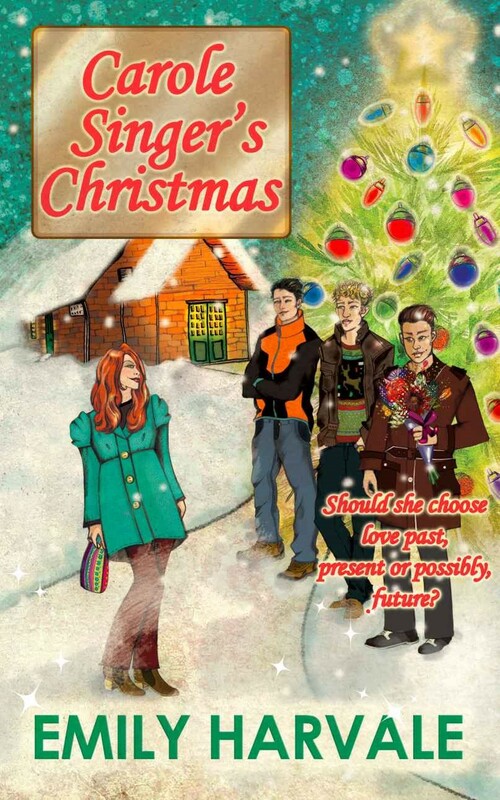 Carole Singer’s Christmas by Emily Harvale took that concept to a whole other level. I am used to odd pairings, jilted lovers, right one but wrong time, triangle relationships and everything else you could think of, but one woman and three guys? A little hard to believe, even for me.